I have been living away from home now for the past eight years. Nothing can ever replace Bombay or India in my life, but Australia is surely feeling more like home with each passing year. It is such a wonderful country! Full of natural beauty, laid back lifestyle, wonderful people and a melting pot of different cultures. Honestly, it would be hard to define who is a real Aussie because everyone here has their roots from another country. This is what makes Australia a truly magical place. Imagine the food scene in a country where people from different origins live together in harmony! I could take a culinary cruise around the world all in a days time just by choosing what and where to eat for breakfast, lunch and dinner. Moreover living in Melbourne which is the art, food and culture Mecca of Australia, I have had the privilege of eating beautiful food and meeting wonderful people from different countries. Speaking of meeting people from other countries, I met some wonderful French expatriates whilst working with a French company and we are now really good friends. The connection was in some ways quite instant because the French love their food as much as I love mine! From social gatherings to serious work meetings talking about food seemed to navigate through every conversation seamlessly. Although I am yet to find out why French women don’t get fat! 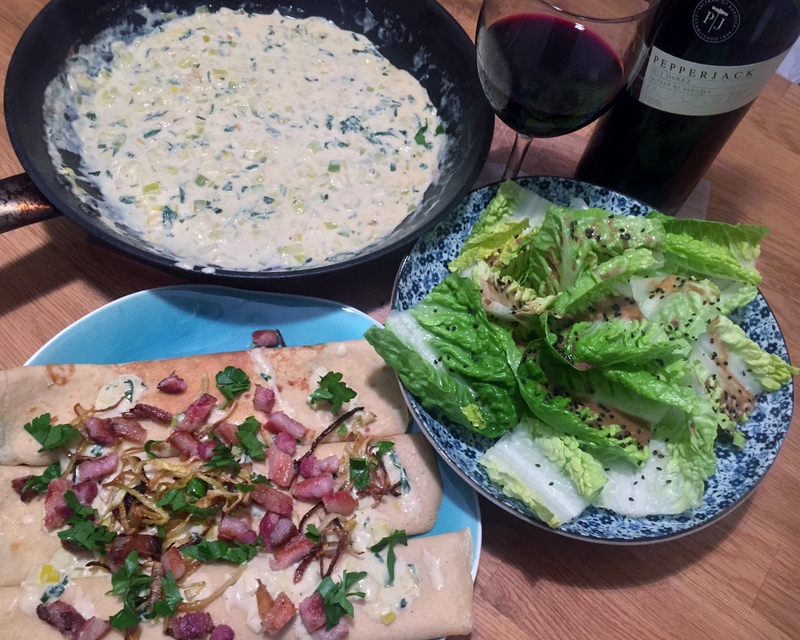 Today’s recipe is a shoutout to all the wonderful Frenchies in my life. I love that you take your food seriously and make it look just as beautiful as you make it tasty. While I may not eat Foie gras or Pâté, I love hearing you gush about it. I look forward to many more culinary adventures with you, but for now I just want to thank you for introducing me to Crepes. My world has never been the same again! 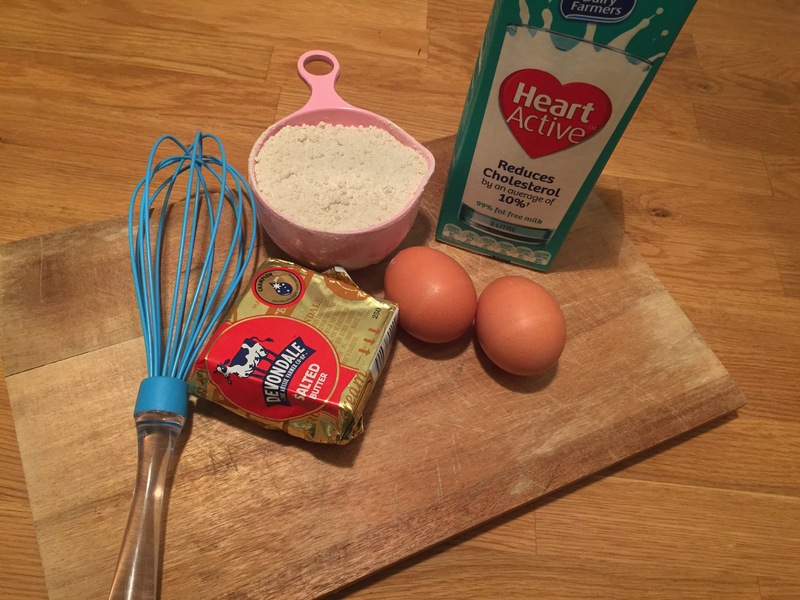 To make the crepes mix all the ingredients in a bowl and whisk thoroughly. The batter should be thin and smooth. Spray a medium, non-stick frying pan with oil. Heat over medium heat. Pour approximately 2.5 tablespoons of batter into pan. Swirl to cover base. Cook for two to three minutes or until light golden. Turn over and cook for one minute. Transfer to a plate. Cover to keep warm. Repeat with remaining batter. To make the sauce, melt butter in a pan. Add garlic and cook until aromatic. 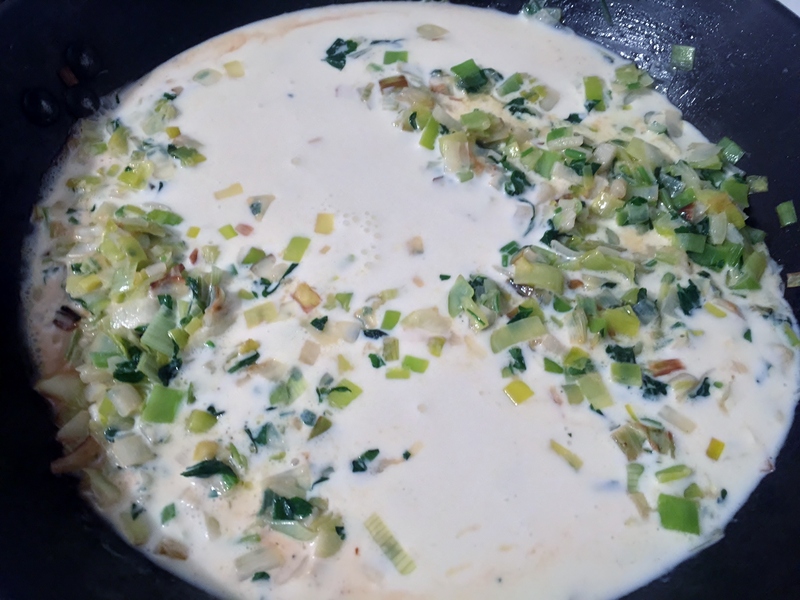 Now add the leeks and cook until soft. Increase the heat to high and add the white wine. Cook until the sauce has reduced and the wine smell has evaporated. Now add chopped parsley, cream and Parmesan cheese. Season with salt as required and let the sauce simmer on a low heat for another three to four minutes. To make the toppings, cook the bacon until crispy and cut it in cubes. For the vegetarian topping if using an oven pre heat the oven to 150 degrees celsius. Combine the onion slices, rosemary and olive oil and bake until the onion slices are golden brown. If cooking on a gas stove top, heat olive oil in a pan. Add the onions and rosemary, cook on a medium heat until onions are golden and caramelised. To make the salad, wash the lettuce bunch thoroughly, break the leaves and assemble on a plate. Combine all the ingredients for the dressing. Taste the dressing and increase the quantity of either ingredient depending on your taste. 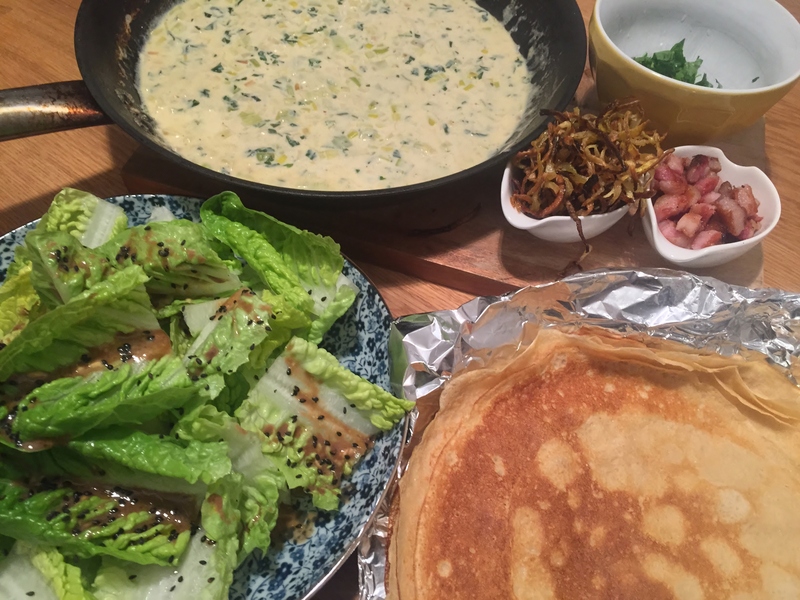 Pour the dressing on the lettuce and garnish with toasted sesame seeds. 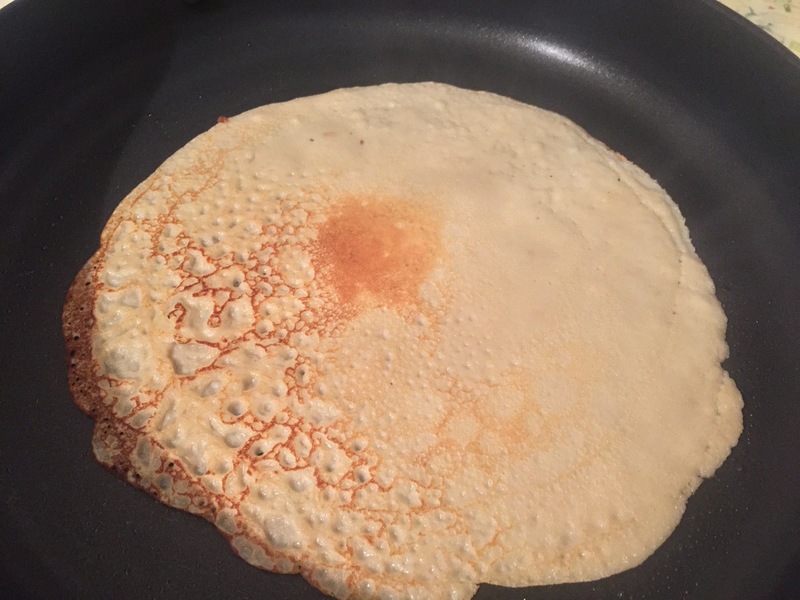 To assemble the Crepes, place crepes on a warming serving plate. 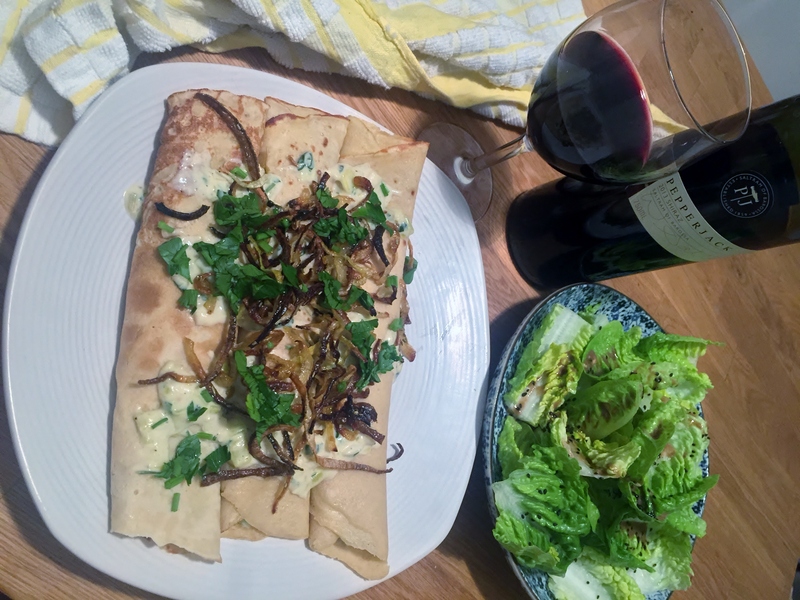 Add one to two tablespoons of the leek sauce in the middle and roll the crepe by folding both sides towards the centre and turn it over. Repeat the same for the remaining crepes. Drizzle remaining sauce on top of the crepes, garnish with the desired topping and serve alongside the chilled and crisp baby cos salad.